Kevlar Aluminised Heat Protection Saftey Hand GlovesWhen choosing heat-resistant gloves, one first has to determine whether the heat is dry or moist; whether the exposure isthermal or atmospheric; if open flame or spark is present; and of course, what the temperature is in any of these conditions.Terry gloves trap air for good insulation, and are great for handling rough, sharp metal parts because terry is also cut resistant. When made withKevlar, cut resistance is increased while also withstanding direct flame. An outer layer of Temperbloc (silicone-coated Kevlar) allows for direct contact with hot surfaces without burning or melting. Our Gloves styles offer such high dexterity we were able to make gloves instead of mitts. And finally, for extremeheat hazard, our Dragon series offersmulti-layer protectionwith styles inspired by workers in thesteel fabrication industryworking with furnaces. 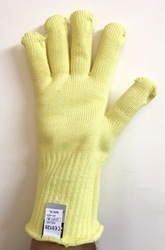 Our company is one of the market leaders engaged in offering a wide range of Heat Resistant Gloves. 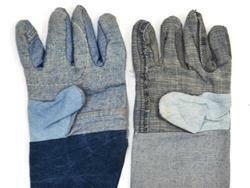 We are one of the renowned Importers & Manufacturers of Heat Resistant Gloves & Asbestos Gloves. The wider range of products offered by us includes Cotton knitted Hand Gloves , Kevlar Cotton Padded heat resistance gloves. 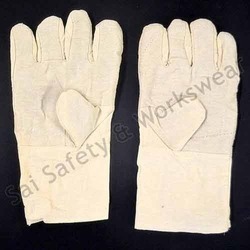 we are engaged in manufacturing and exporting best in-class Asbestos Hand Gloves. 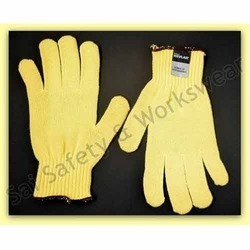 These gloves are designed by skilled workforce along with advanced machinery. This range of products is widely used in various industrial sectors and is available in different dimensions, shapes and specifications. Resistant to contact, convective, and radiant heat. Flame resistant. Glove shell will not melt, drip or propogate a flame. Long knitwrist cuff extends protection to the wrist. High level of cut protection : EN level 5 and level E.
These gloves are made of cotton cloth sewn with support of heat resistant material on the inner palm side.These are customized gloves and are manufactured by us on imported sewing machines by expert workers. 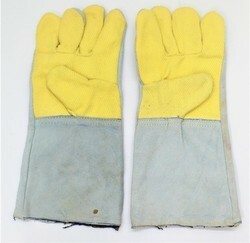 Supported by our skilled team of personnel, we make jeans hand gloves. 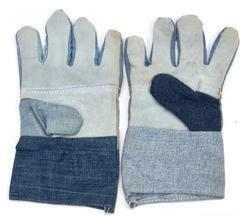 These jeans hand gloves are manufactured with qualitative jeans fabric and gives comfort for hands. Workers depend on their skills to get the job done safely. Importantly they depend on thier skilled hands to get the job done pricisely and quickly.Knowing safety is something you cannot take it for granted. Unlike nylon,polyester,polyethylene gloves, mittens and sleeves made of kevlar fibre are fire and combustion resistant and they donot melt also. 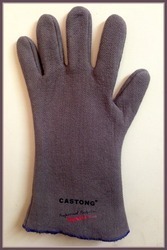 Gloves made of Kevlar fibre are cut and abrasion resistant. 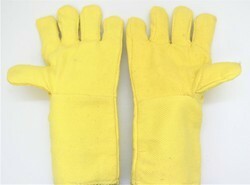 Medium Yellow 7 ga Gloves are made of 100% Dupont Kevlar® heavy weight string knit material. Gloves offer additional dexterity and longer durability. 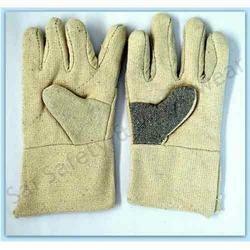 Gloves with a plain shell can be used for general-purpose work applications to render abrasion and cut resistance. 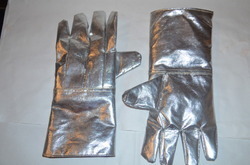 Gloves will not ignite, melt or conduct electricity and can be used as glove liners. Launderable gloves let on manual dexterity while offering high comfort level. Gloves are used in glass handling, light heat protection, air conditioning manufacturing, assembly line, cut protection, flame protection, food service, warehousing, HVAC and knife handling. Gloves meet CPPT CUT LEVEL-3 specification. Excellent thermal insulation, especially on the back owing to the reflection of thermal radiation of the aluminized Kevlar /Preox. material. Allow contact up to 700°C. The glove protect its user against 500°C for 23 seconds. Reinforced seamless forefinger. Good abrasion and cut resistance. Thanks to the Neptune coating the glove fibres repel liquids, avoiding damage to the Kevlar strands and extending glove life. 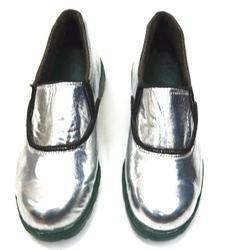 These shoes is made available in a variety of sizes so that they can be used by many people. They have been made very comfortable so that they provide maximum freedom during critical moments. • Inner Wool and pure Chrome Leather.